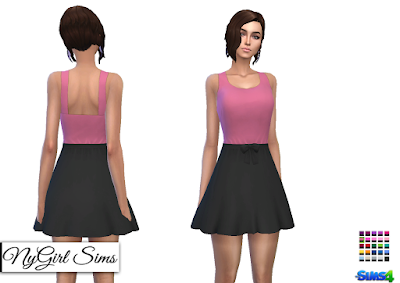 This dress was also inspired by a TS3 store dress. It features a black flare skirt with bow and sash that gathers at the waist and colored tank. 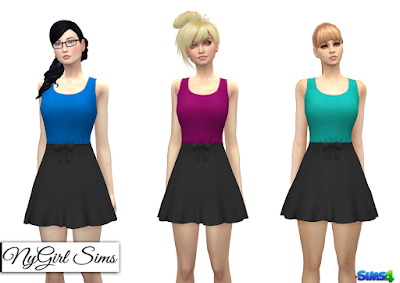 Made from a mixture of TS4 textures and meshes. Mesh edit by me. Comes in 25 presets.